Flu season is brutal. Whether it's the flu virus or the common cold, feeling better fast is a top priority. For many people, the first step is to take antibiotics and medications. These cold medicines often come with serious side effects. Even worse, overuse of antibiotics can cause the development of drug-resistant superbugs. Fortunately, there are dozens of all-natural ways to clear up symptoms and get you back to conquering the important things in life. While antibiotics have their place in treating severe or chronic cases of the common cold and flu, often times you can get rid of symptoms using natural cold remedies. With this guide, you'll learn how to get over a cold fast. When you have flu-like symptoms, the best thing to do is get plenty of rest and relaxation. You will recover faster if you stay home and you also won't run the risk of spreading infectious disease to your coworkers or friends. 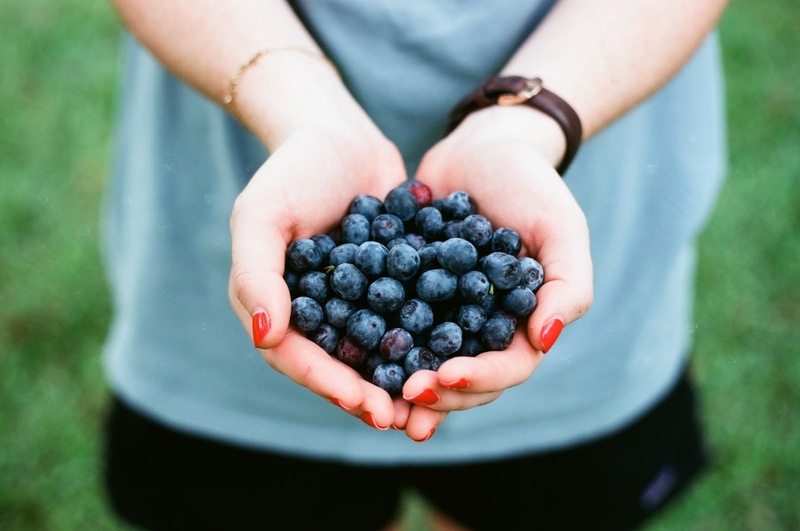 By reducing the amount of energy you expend, your immune system can focus on healing your body. Set up a comfortable area in your bedroom or living room where you can relax. Make sure to stock the area with liquids, snacks, and cough medicines or aids so you don't have to get up every few minutes to get things. Make sure you have a blanket or two so you can stay warm. Make sure you get lots of sleep when you feel under the weather. Make time for naps during the day and try to sleep through the night. If a stuffy or runny nose makes it hard to sleep, elevate your head by sleeping on a couple stacked pillows. You can also drink bedtime tea such as lavender tea before you go to bed. The delicate scent of lavender helps induce sleep so you get a better night's rest. Your body needs plenty of fluids to get through a normal day, but this becomes particularly important if you are sick. Fluids help thin mucus flow and congestion in the nose and chest. Liquids can also help soothe a scratchy throat. Drink lots of cold or warm water, juice, and tea to stay hydrated. Avoid alcohol and caffeinated beverages as these can cause dehydration. 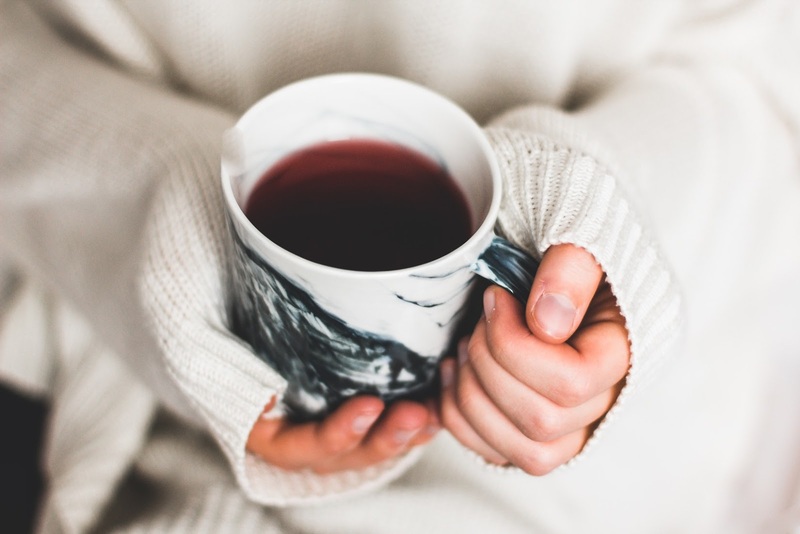 Warm liquids like hot tea are a great way to soothe throat irritation and increase hydration. True teas such as green tea and black tea are packed with antioxidants that boost immune health. These teas also contain mild amounts of caffeine so it's best to drink these early in the day. For the afternoon, you can switch to herbal teas, which are naturally caffeine-free. There are also herbal teas for upset stomach that can treat the symptoms of the flu. Try ginger tea, chamomile tea, and holy basil tea. 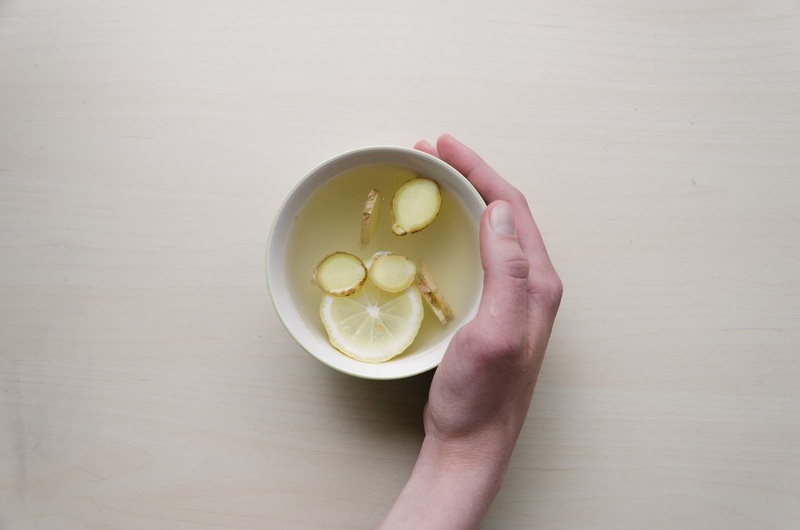 You can also drink warm lemon water if you are having trouble keeping food down. There are two ways to use saline to get relief from cold symptoms fast. The first is to use a nasal spray. These sprays are available over-the-counter and help make it easier to flush gunk out of your nostrils. They keep the lining of the nostrils wet so you can blow your nose more easily. The second option is to use a saline rinse. The most famous of these is known as the Neti pot. The Neti pot is shaped like a small teapot and can be used to clear congestion in the nose. Simply add warm distilled water to the pot and empty a packet of saline into it. Tilt your head to one side and use the pot to irrigate your nasal passages. The saline solution will go through one nostril and out the other or out through your mouth. There are dozens of saline irrigation options if the teapot shape is too hard to master. You can find saline rinses in bottles, bulb syringes, and mists. When doing a saline rinse at home, it’s important to only boiled, sterile, or filtered water. Using other types of water can increase the risk of serious infection including those caused by flesh-eating bacteria. Like nasal irrigation, gargling with salt water helps to soothe throat irritation and loosen mucus. The anti-inflammatory properties of salt decrease the inflammation and swelling that causes a stuffy nose and sore throat. You can buy pre-made saline solution or you can make your own at home. Simply heat up water in the microwave until it is warm. Add in half a teaspoon of salt and stir until it is completely dissolved. Take a sip and swish it around your mouth and gargle for about 30 seconds. Spit the mixture into the sink and repeat two to three times per day. There's a reason your mom used to give you chicken soup when you were sick. 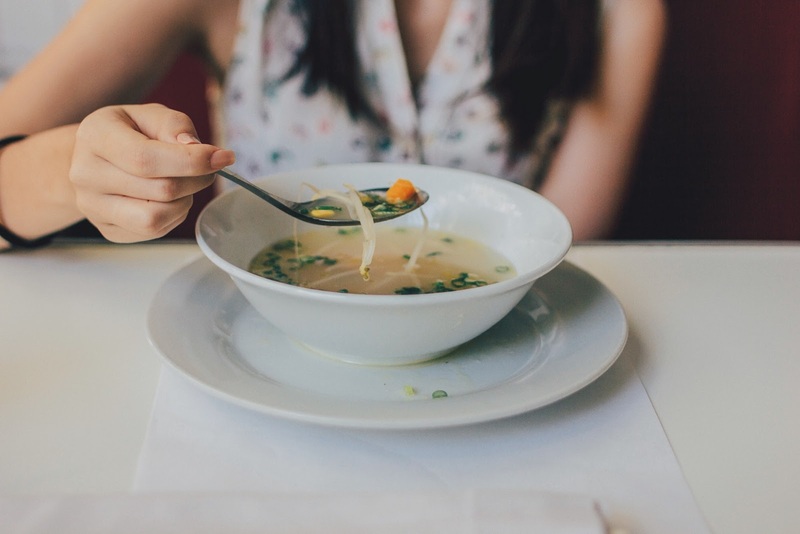 Eating chicken soup helps you stay hydrated and can reduce inflammation that causes a stuffy nose and congestion. Chicken soup also helps replenish your body with nutrients and vitamins, especially if your cold symptoms include vomiting. Honey has natural pain relieving properties that help coat and soothe a sore throat. Vinegar has antibacterial properties that can help eliminate harmful pathogens that make you sick. Lemon is also a great disinfectant that can help eliminate viruses and pathogens. Combine one tablespoon each of honey, lemon, and vinegar in a glass. Eat the mixture by the spoonful, making sure the mixture coats your throat when you swallow. You can also add these ingredients to warm water or a cup of tea. All-natural cough drops and lozenges can help soothe a sore throat and open up your airways. If you have chest congestion, look for a lozenge with echinacea or peppermint as both of these ingredients help reduce inflammation and make it easier to breathe. 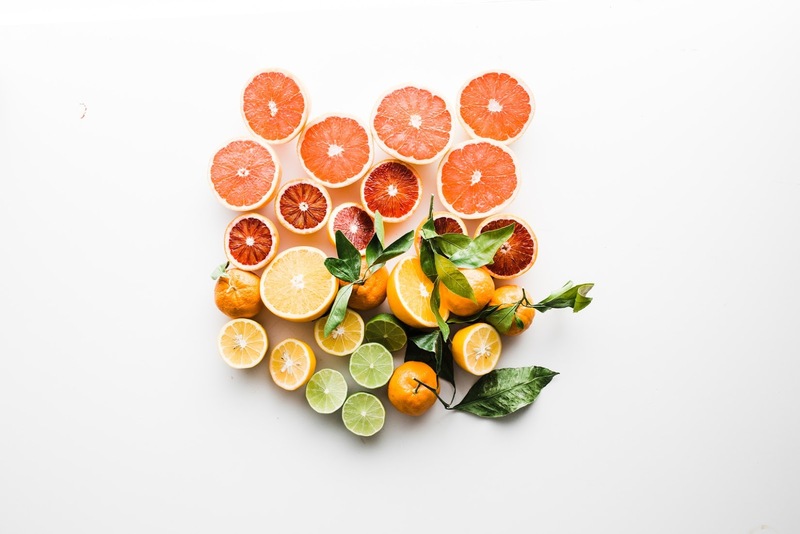 Citrus fruits are packed with vitamin C and other healthy nutrients that your body needs to develop an immune response to fight off the flu and cold virus. These vitamins and minerals can fend off pathogens that make you sick and have been shown to shorten the length of symptoms. Taking a hot shower can help open up your airways and loosen mucus. The moist air can also help soothe a sore throat. Alternatively, you can soak in a hot bath to help ease aches and pains from the flu or cold. For severe colds, you can also do a facial steam bath to loosen congestion and a stuffy nose. Bring water to a rapid boil in a large pot on the stove. Remove from heat and place a towel over your head and neck. Inhale the steam for five minutes. You can also add essential oils such as tea tree oil and peppermint oil that help to open airways. When you have a bad cold, sometimes the best solution is to take over-the-counter medications. An OTC decongestant reduces inflammation, which helps to open up the airways and relieve a stuffy nose. An expectorant is another common medication that can loosen chest congestion, which causes cough and difficulty breathing. Take an antihistamine if you have a runny nose. The medication works to dry out nasal passages by blocking the body's chemical responses that cause sniffles. A frequent symptom of the common cold is body ache and headache. Take a pain reliever such as Advil, Aleve or Ibuprofen to decrease inflammation and get pain relief. For pain relief, you can also massage achy muscles using arnica gel or essential oils such as frankincense, lavender, and rosewood. When it comes to the common cold and flu, it can’t hurt to try natural remedies before rushing to the doctor. If you have a serious upper respiratory tract infection or your symptoms don’t go away within a week, seek medical advice. For minor cold and flu symptoms, try one of these natural remedies to feel better fast. You can try out a saline spray and nasal irrigation to tackle a runny nose or opt for lots of rest and liquids if you have the full-blown flu. Once you beat this cold or flu, it’s a good idea for healthy adults to take steps to prevent the next one. The CDC recommends washing your hands frequently with soap and water, especially during flu season and when handling money. Eat a healthy diet with fruits, vegetables, and healthy fats to boost your immune system. Stay away from people who are sick and try not to touch your eyes, nose, or mouth after contact with sick individuals.